Fear of falls is a risk factor for senior falls. Falls are the leading cause of the loss of senior independence. Anchorage Senior Center has programs designed to reduce fear of falling and improve senior independence. One such program is Go4Life. 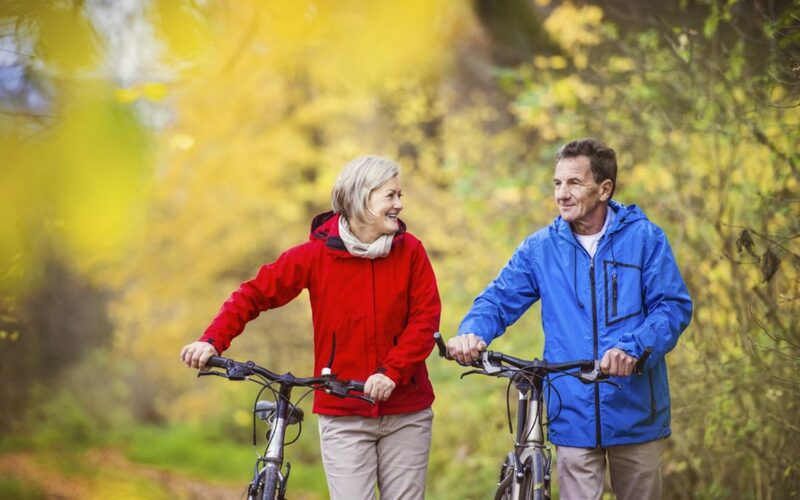 Go4Life, an exercise and physical activity campaign from the National Institute on Aging at NIH, is designed to help you fit physical activity into daily life. “The Go4Life program is an exceptional vehicle for connecting older adults with excellent resources and information and it provides a great framework for our daily efforts at getting and keeping our members and guests active” reports Rebecca Parker, Executive Director at Anchorage Senior Center. The Center offers a complete gym with strength and aerobic equipment, tai chi, chair exercise classes and access to water exercise classes. “Don’t let a fear of falling keep you from exercising and being physically active. Overcoming this fear can help you stay active, maintain your physical health, and prevent falls”says Brittney Mitchell, Anchorage Senior Activity Fitness Manager. There are simple ways to prevent most falls. One of the most important ways to prevent falls is to stay physically active. Regular exercise makes you stronger. Weight-bearing activities, such as walking or climbing stairs, may slow bone loss from osteoporosis. Lower-body strength exercises and balance exercises can help you prevent falls and avoid the disability that may result from falling. Join the Anchorage Senior Activity Center’s Go4Life campaign. Call 907-770-2000, or visit Anchorage Center at 1300 E 19th Ave, Anchorage. You will see your risk score immediately. Once you complete the survey, you will have an opportunity to enter sweepstakes for a chance to win $250 for a nonprofit organization of your choice.